A week has now passed, and its only now that I feel that I have recovered sufficiently to put it to words the events of last weekend. 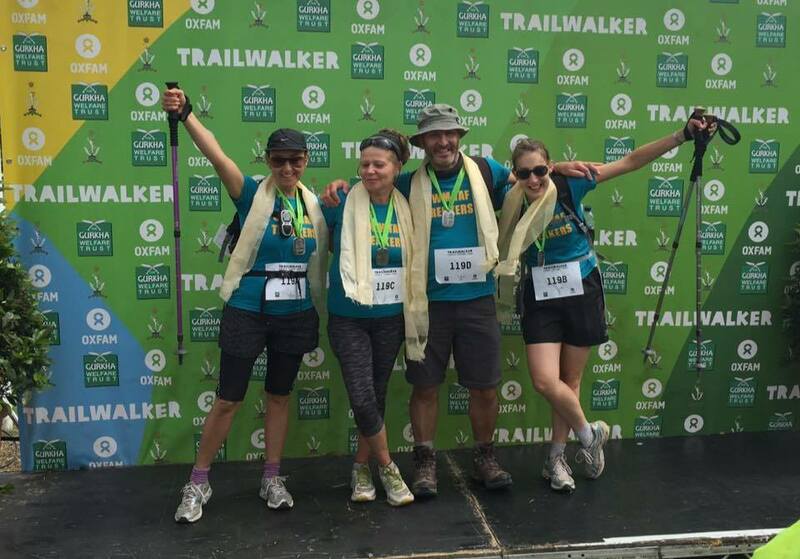 Last weekend I took part in Trailwalker, organised by Oxfam. This is an endurance event originally devised as a training exercise for the Gurkha Army. This amazing event involves walking 100km (just over 62 miles) across the South Downs in team of four. But here it gets hard, you have to complete the walk in under 30 hours! The first issue was the heat. We were walking totally exposed to the elements throughout the entirety of the day, and it was 27 degrees by lunchtime. Come the evening we switched on our head torches and carried on through the night. One foot in front of the over, one kilometer at a time. By sunrise we had walked 70km were absolutely broken. We were in pain, we had picked up blisters, knee injuries and were suffering from nausea and exhaustion. Through some massive feat in mental strength we carried on, walking into the most beautiful sunrise. This gave us a mush needed lift, but by 7am the sun was pounding down on us again relentlessly. By 10.30 am we were only 10km from the finish. Lacking the energy to continue, our head and legs took over, taking us slowly but surely towards the end. By this point we were hobbling, my knee had totally given out and I was using sticks as crutches, another team members hips were hurting so much she could barely walk and another lost all the skin on the bottom of his foot, yet still we continued. Three hours later our spirits rose as we saw Brighton Racecourse, the finish line. To Gurkhas playing Scotland the Brave on the bagpipes we crossed the finish line, 28 hours 45 minutes after starting our massive adventure. We had walked from 9 am Saturday to 13.45 Sunday, only stopping for 20 minutes every 3-4 hours with no sleep. There were tears, there was swearing but most of all there was laughter. We worked as a team every step of the way. I cannot even put into words how amazing, but also how backbreakingly tough this challenge was. There was no way I could comprehend how grueling this challenge would be when I signed up for it. A fellow walker described it as "utterly brutal and relentless" and I can only agree. However, I am so so glad I gave this challenge a go, and absolutely thrilled that we finished the challenge as a complete team of four. 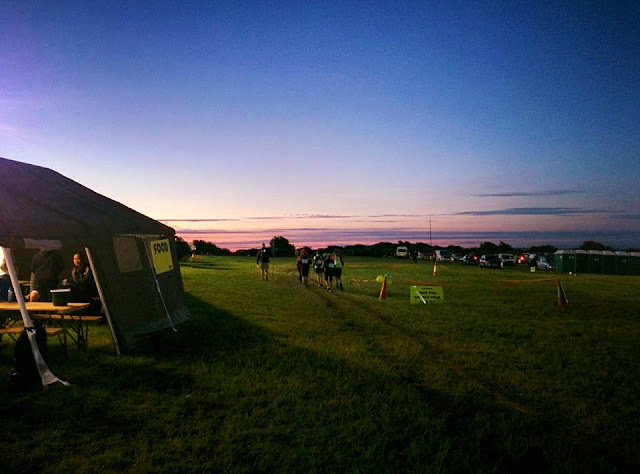 We heard some very scary stories on route about very fit, healthy people collapsing from heat exhaustion 30km in and I am so grateful that not only did we complete the challenge but that we are all OK (bar a few missing toenails and a swollen knee). This was a once in a lifetime experience and I'm going to struggle to find anything that will compare. We pushed ourselves physically and mentally to our absolute limits (and well beyond) and came out the other side with a deep knowledge that you can do anything you want if you put everything into it. The human mind, body and soul can do amazing things. Photos thanks to Pete who was, and still is, AMAZING! !